cd - Changes the current working directory in the command line console. 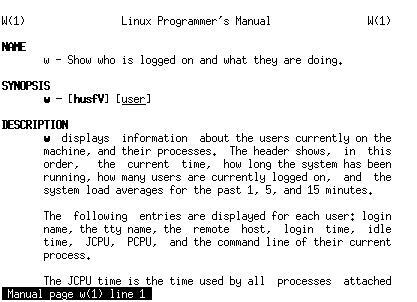 exit - Exits out of the current program, terminates the current command line terminal, or logs you out of a Unix network depending on the context. kill - Terminates the specified running process. The Linux version of Windows’ “End Process” in the task manager. ls - List all of the contents of a specified directory. If no directory is specified, it will use the current directory. apt-get – Advanced Packaging Tool. Use this command to install, remove, and configure software packages on your system. For a menu-based version, use aptitude command. Available on Debian-based Linux distributions. ftp / sftp - Connects to a remote FTP server in order to download multiple files. wget - Downloads files from the Internet at the specified URL to your system. yum - Yellowdog Updater, Modified. An open source package manager used to easily install software packages from repositories. Available on RPM-compatible Linux distributions. emacs – One of the most well-known text editors on Unix-like systems. date - Prints out the current system date and time. Specified parameters can change the format of the output. hostname - Displays the name of the current host system. ps - Displays information about all of the processes currently running on the system. top - Displays all of the top processes in the system, by default sorted by CPU usage. uptime - Reports how long the system has been running since last boot. Extremely useful for servers.